SUGAR RIM BAR LAUNCHES IN MIAMI! Create warm delicious drinks during these cold winter months. Take your hot chocolate and coffee up a notch. It may be frozen outside but inside we are toasty and feeling great! Welcome to Behind The Bar!!! Welcome to Behind The Bar! I'm excited to create this blog. 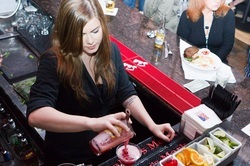 I believe that Bartending and Customer Service is something that I was BORN TO DO! I want to bring you along with me to show you that I am really living my dream. I will give you access to events, bars, restaurants and easy to make drink recipes. So sit back, relax, and be "A Guest At My Party". 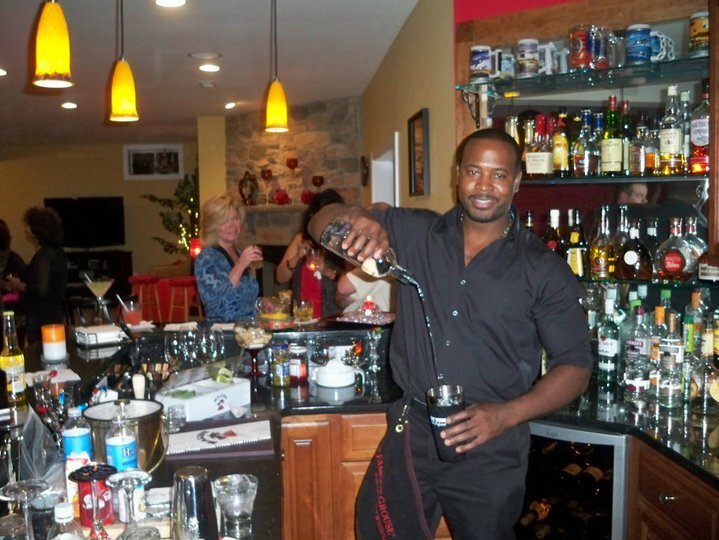 Meet Bartender Stevhe Best of Columbus Grill!! I first meet Stevhe at the National Harbor. I Bartended at Rosa Mexicano and she Bartended at Public House. Right from the moment we met we've been great friends ever since. The great thing about Stevhe is not only is she a great bartender but anyone that knows her will agree that she's a great person as well. In this day and age when bars seem to be only looking for cute, bubbly female bartenders with no respect for the craft, it's refreshing to know that it's not just an act. Rarely will you walk into a bar and meet someone who actually loves what they do! BTB: How long have you been bartending? Stevhe: I've been bartending for a little over 5 years now! BTB: What is the best part of working at Columbus Grill? Stevhe: Columbus Grill is one of the classiest places I have worked in a very long time, and oddly it's located in Manassas. Every dish that is ordered is made from scratch so you know you are getting the best quality. The prices are so inexpensive that they will blow you away too. My boss lets me be who I am when it comes to bartending, and I really admire that. I can be a handful! BTB: What is your favorite drink to make? Stevhe: I know it sounds strange, but I really enjoy making martini's that consist of different types of alcohol! My favorite is a vodka martini, with a splash of cranberry, topped with a sweet white wine like Moscato. Garnish it with a strawberry and viola! BTB: When you aren't working what's your favorite bar to go to? Stevhe: This is a funny question, because as much as I enjoy getting dolled up and going out, I usually end up at my local watering hole where most likely everyone is wearing jeans and a t-shirt while watching the game. I'm more comfortable eating wings and drinking beer anyday of the week. BTB: Any advice for anyone thinking of or wanting to become a bartender? Stevhe: My advice would be that don't stress about remembering all of the drinks at once! You will get to know them as time goes on and you have actual hands on training. Reading a book does not give you a real visualization of what bartending really is...a blast! If you find yourself in the Manassas area. Stop by and say "Hello".